Hello my beautiful friends! Today I am sharing a most delicate and feminine table celebrating friendship. I know Valentine's is often considered just a romantic holiday but for me, it is also a way to honor treasured friendships. I for one do not have a ton of friends but the few that I do call friends have earned a special place in my heart and will be my friends forever. Valentine's is one of those special times of the year in which I like to express my appreciation and gratitude to my close circle of friends. So gather a few girlfriends and invite them over for a lovely lunch and an afternoon of fun chat and laughter. You may want to have a movie marathon, bake a few cookies or simply listen to some favorite music. Whatever you choose to do, make it special, beautiful and everlasting. Here is the table I will be putting together for my friends in the next coming weeks. I truly love the way this table turned out. Soft, delicate and very romantic. I am such a softy for anything pink and roses. I hope you like it just as much as I do. Until we meet again sweet friends and remember to add a little beauty to your life. Thank you for visiting. I appreciate your sweet comment. Thank you for visiting my blog Dervin. I do appreciate your sweet comment. 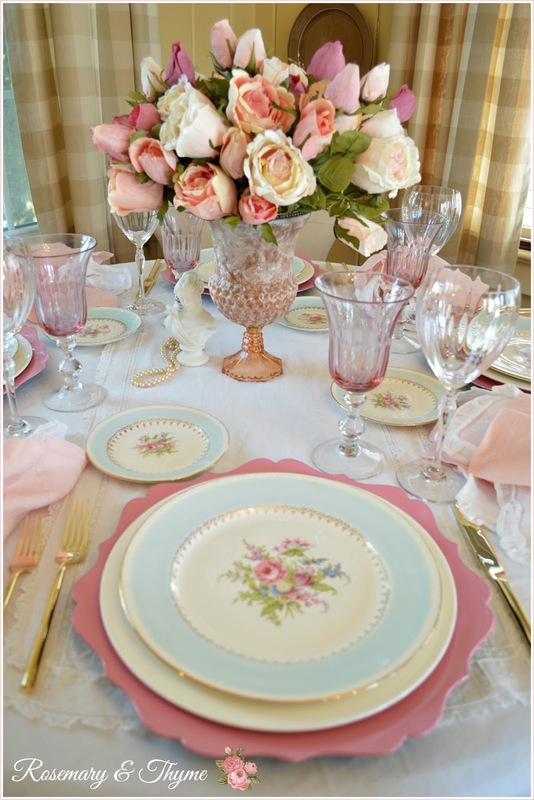 Your friends will love this beautiful table setting. Everything is perfect. Love all the dishes, silverware and napkins. Your flower arrangement is stunning. I hope you had a wonderful weekend. Thanks for visiting and admiring my feminine table. It makes me happy to know that you liked the table I put together. So happy that you came sweet friend. 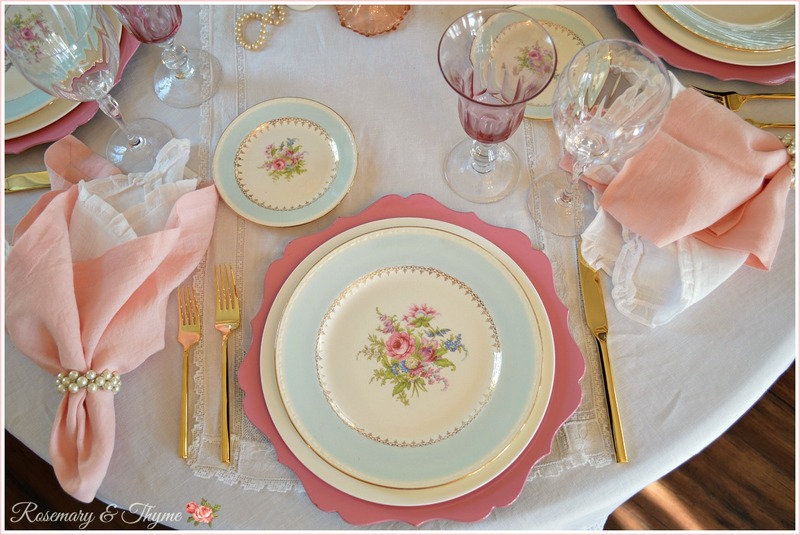 What a lovely tablescape for your precious friends! They are so very lucky to be a guest at this pretty space. Well don e- it is gorgeous. 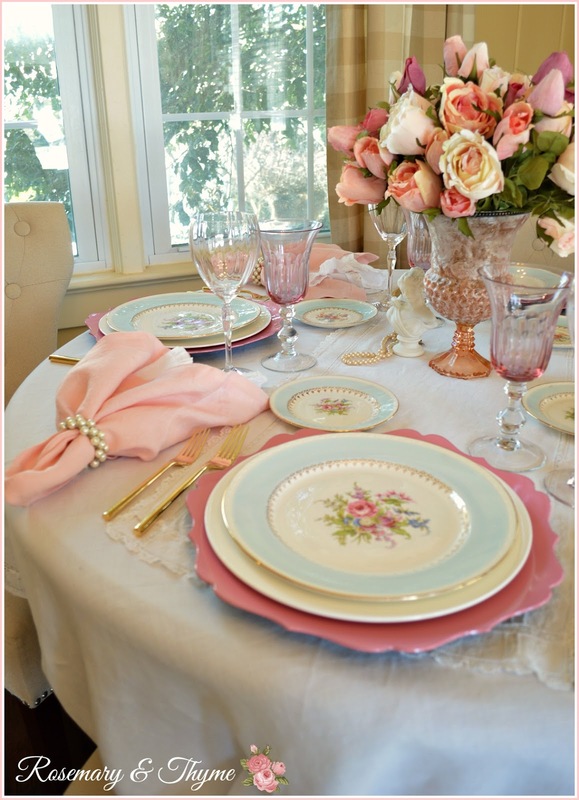 This table is just so pretty and romantic! I love the pink! Thank you Angelina. I appreciate your sweet words. Just beautiful Janet! Love the size of your round table, so intimate and romantic for the occasion. Thank you for visiting Gina. I do appreciate your kind words. 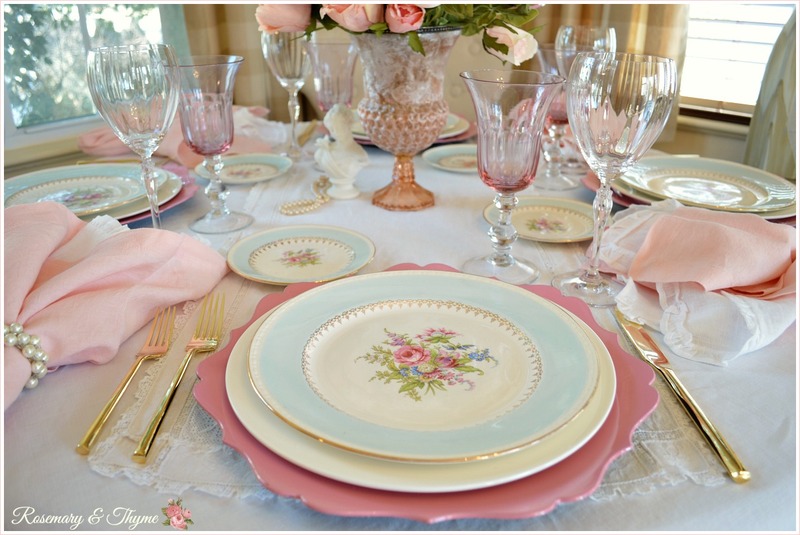 Janet this is really a gorgeous tablesetting, your friends will love it. It's almost too beautiful to put food on it. Thanks for visiting me. You are very sweet and kind. What a gorgeousness, my sweetest Janet ! You always amaze me with your so lovely tables and with your delicate tasteful things you decorate them with ... actually I'm still feeling in awe ! Your comments always make me smile. You have a way with words that reach ones heart. Thank you so much. It is such a joy to read your comments my friend. Wishing you a blessed week and happy Valentine's day. Very pretty and I can only imagine how it will look when you get all that delicious food on it! Thanks for visiting. I do appreciate your sweet comment. Thank you. You are very swwt. Really lovely Janet. I especially love the icy blue edged plates contrasting with the various pinks and the pearl napkin rings you made. Lucky friends! Beautiful in every detail. It is very romantic and delicate. Those silk flowers are incredible, I thought it was right from the florist. I would love to get similar since I love roses. You are very smart and talented! Oh, this is a lovely post. Beautiful from every angle. Your friends will be swooning as you share this lovely spot with them. What a pretty table setting, Janet! I've always believed that Valentine's Day should celebrate ALL types of love--romantic, platonic, familial, friendship! Janet, your table is really lovely! I too adore pink and roses and I also believe that Valentines is the perfect time to lavish your mate as well as your family and friends with love. You've done it splendidly. Thanks so much for sharing with us and Happy February! 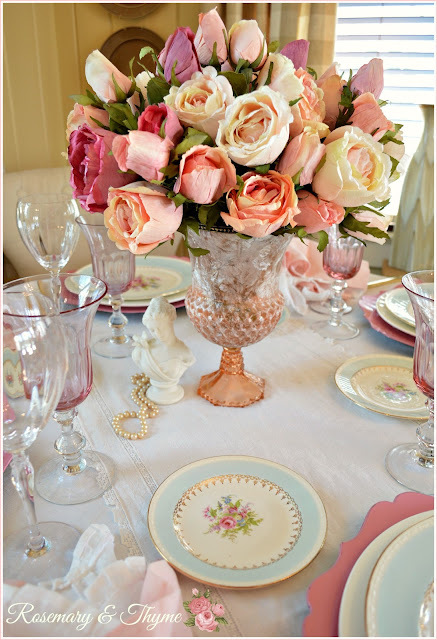 I love your rose table scape. 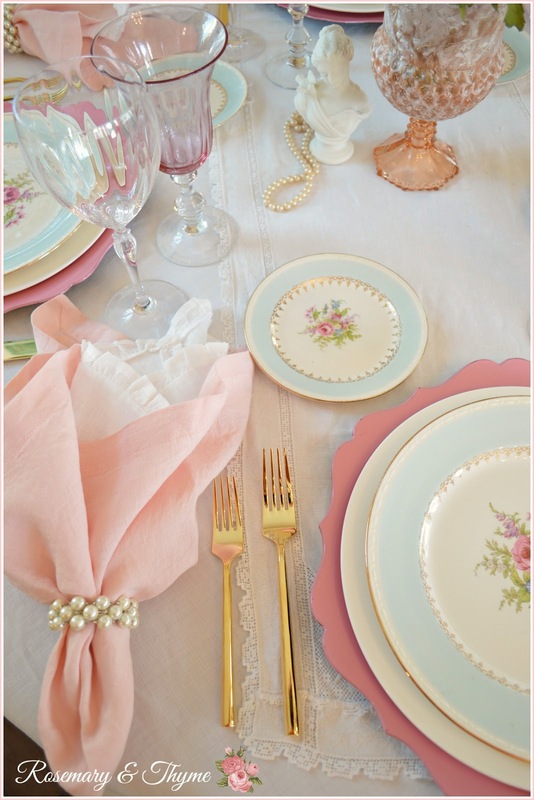 The china is so pretty -- so feminine and I love the pink and clear glass. Just perfect for Valentine's Day. Happy Tea Day! Delicate, sweet, and charmingly romantic! Kudos, dear Janet, this table is beautiful, and I LOVE the centerpiece and stemware! I love how soft and pretty your table looks. The color scheme is just beautiful. TFS this at Cooking and Crafting with J&J! 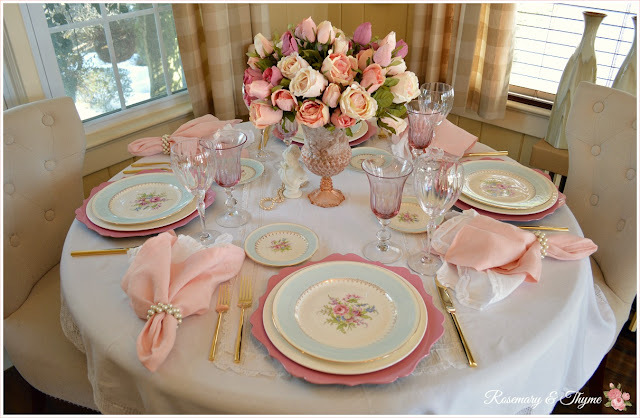 I want to thank you for sharing this fabulous table setting and everything looks so romantic - great for Valentines Day. I love what you have created Janet. I love your dishes and floral! thanks for sharing.......I am responding from the grocery store as I am in Missouri and returning to Colorado tomorrow! Beautiful pink dishes to celebrate love and friendship. 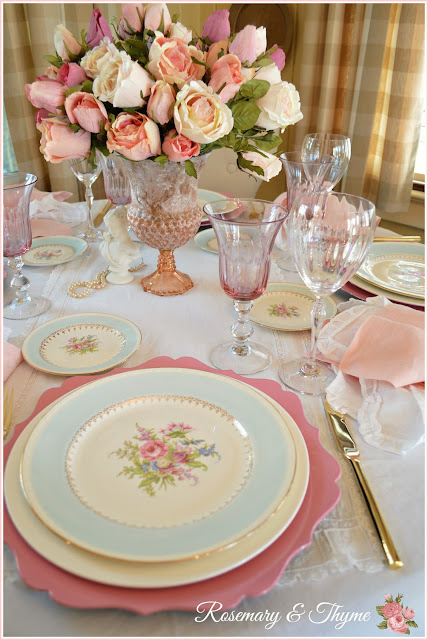 Very romantic my friend and your china is gorgeous.. and it makes it so sweet and delicate too. Sweet Janet, your tablescape is so feminine, soft, and beautiful. 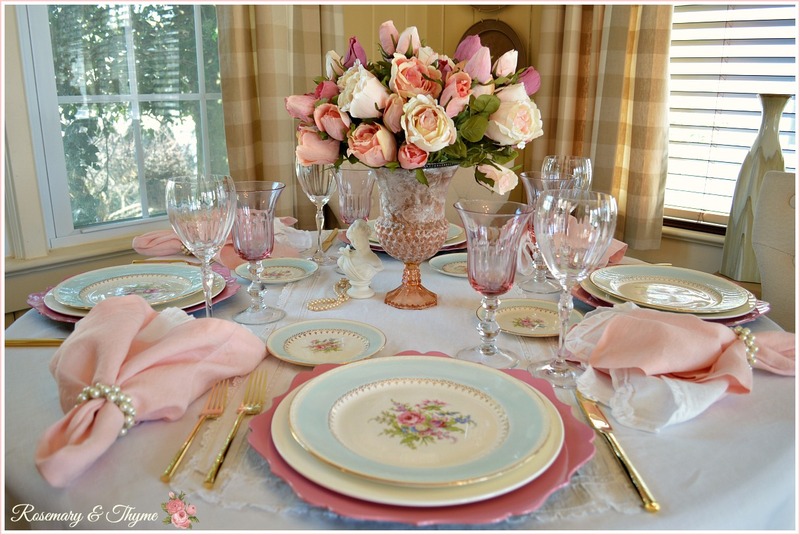 You have created an elegant setting for your dear friends and I know they will have a wonderful time. Thank you for sharing with Roses of Inspiration. Love and hugs! 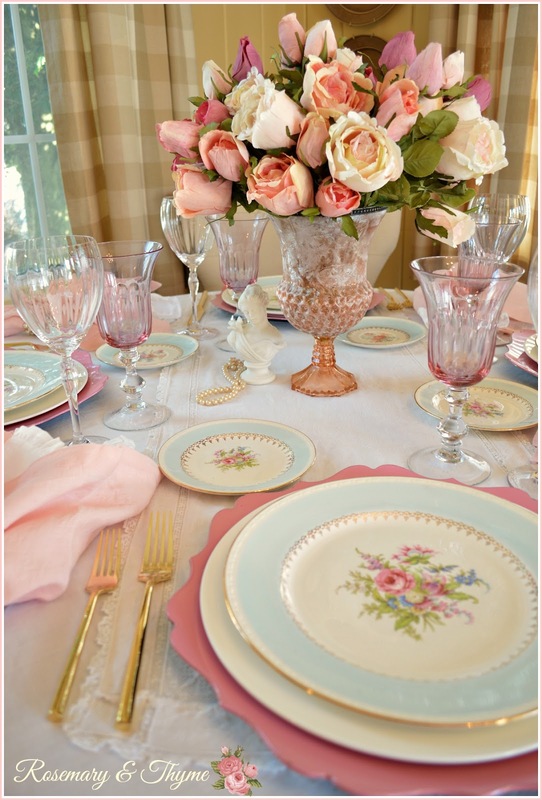 What a beautiful, beautiful table setting! I love it all. . .and that is such a great idea to celebrate with friends. I have always thought of Valentine's Day to be one to share the LOVE with everyone! Janet, your table is beautiful! I absolutely love the china and linens together. A beautufl table for entertainng! Pinned and shared. Thanks for linking up at #ThursdayFavoriteThings! I hope to see you also at #OverTheMoon. 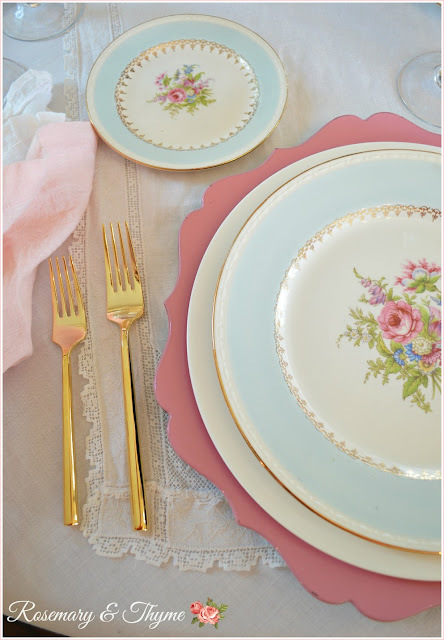 Such a beautiful setting, love your dishes! Thank you for linking with the Art of Home-Making Mondays at Strangers & Pilgrims on Earth! A truly beautiful tablescape Janet. The colours are so soft and romantic and I love that you celebrated your friendships on Valentine's Day. I'm delighted to be featuring this post at my Shabbilicious Friday party tomorrow. I am in love with this table, it is so sweet, romantic and feminine..........just love it. Simply Beautiful.........You really outdid yourself.